Turkey is aiming to attract qualified researchers from other countries with a new scholarship program, Minister of Science, Industry and Technology Mustafa Varank said at the Turkish Grand National Assembly (TBMM)'s Planning and Budget Committee on Monday. "We are aiming to support qualified researchers and scholars in foreign countries – particularly the Turkish ones who came to the fore with high-level scientific and technological studies – to come to Turkey and carry out their studies at the country's leading academic and industrial institutions and organizations, as well as the public institutions," Varank said about the ministry's new project called "International Leader Researchers Program." Within this program, the total scholarship starts at 500,000 Turkish lira ($91,380) for young researchers and TL 1 million ($182,765) for more experienced researchers. Researchers will receive a TL 20,000 or 24,000 scholarship per month depending on their experience level. Scholarship holders are to receive financial support for 24 to 36 months of the project, Varank stated, adding: "The researchers will receive a research starting pack allowance in order for them to meet their basic research needs and research allowance for the projects." Varank said the ministry will provide scholarships for doctoral students who take part in the project and efficiency wages for all researchers. The living expenses of the researchers and their families as well as insurance and travel expenses will be covered under the project. 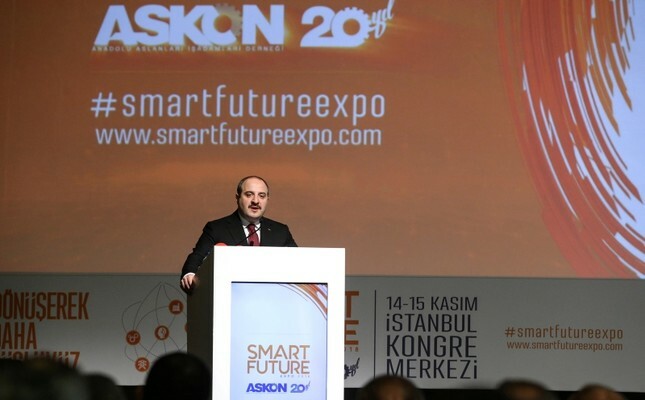 Varank also said that the Scientific and Technological Research Council of Turkey (TÜBİTAK) is planned to be more supportive of social and human sciences as of 2019. "TÜBİTAK Social Sciences Research Group has been carrying out 1,787 projects with a budget of TL 210 million. The research group will support profound research on social and human sciences as of 2019 with a target-oriented aim. More importantly, the group will research how the social and human sciences affect the other fields and sectors such as engineering, health, food and agriculture," Varank said. Turkey has recently sought to ramp up its research output, particularly in the fields of science and technology. President Recep Tayyip Erdoğan emphasized technological advancement in his 100-day plan unveiled in August, and called on Turkish scientists to return home from abroad during Istanbul's first aerospace festival Teknofest in September. The country's earlier efforts to bring back its academic diaspora ensured the return of more than 595 researchers to Turkey in the past eight years after they pursued a career abroad. The TÜBİTAK has already drafted an inventory of Turkish scientists living abroad and offered scholarships in order to reverse the brain drain, in cooperation with the European Research Council.